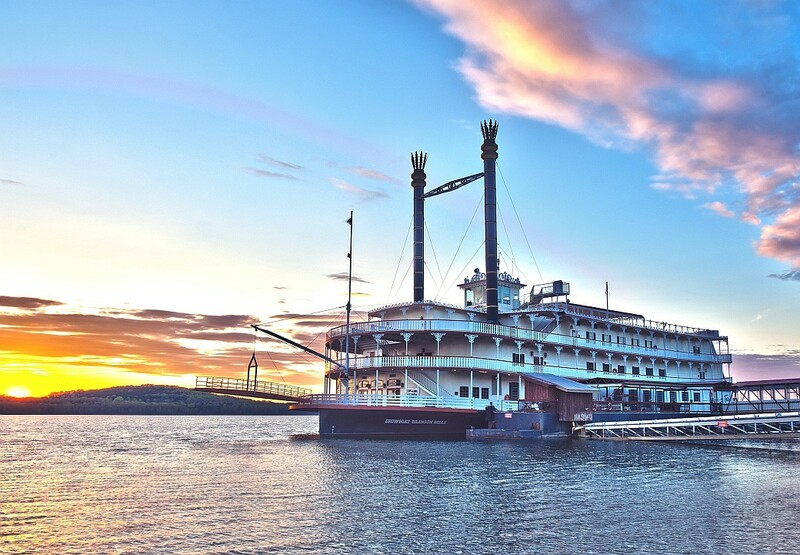 Step aboard the world-famous Branson showboat for a dinner, show, and lake cruise on the Showboat Branson Belle! 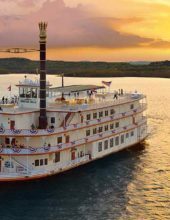 Branson’s Most Popular Lake Cruise! 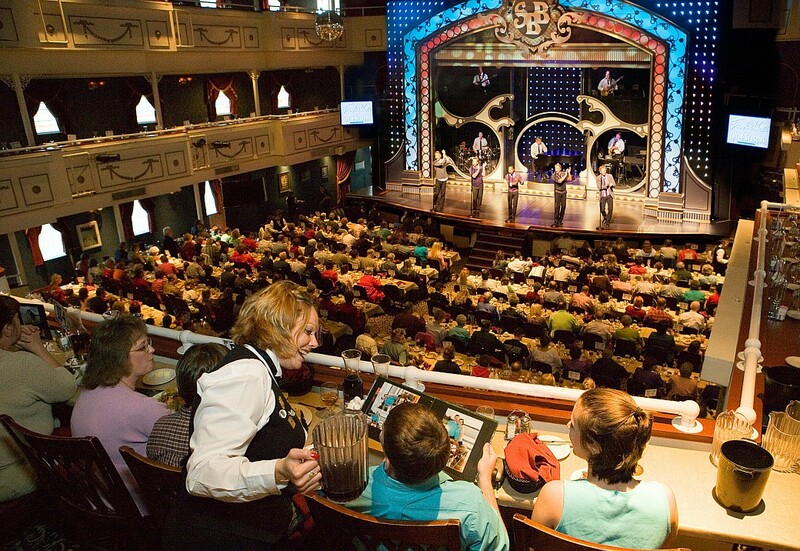 Booking tip: Showboat Branson Belle is very popular, advance reservations are recommended! 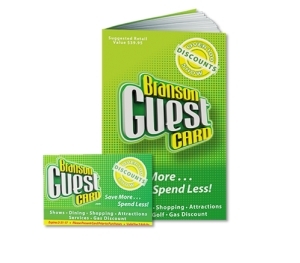 You save up to: $222.85 (60%) off! You save up to: $122.85 (33%) off! 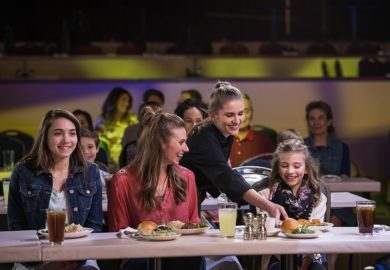 The most popular choice, these tickets provide you with a great view of the show and the delicious meal that is served along with it. 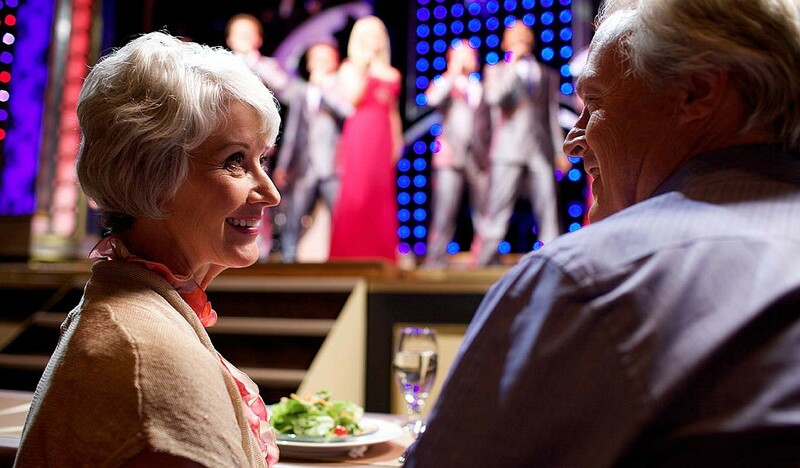 The Captain’s Row seating offers unmatched viewing of the show with premium menu options to choose from as well! 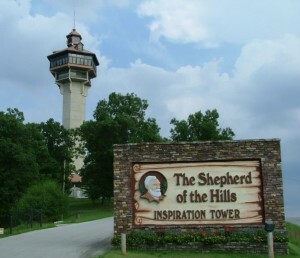 Branson’s Most Popular Lake & Dinner Cruise! 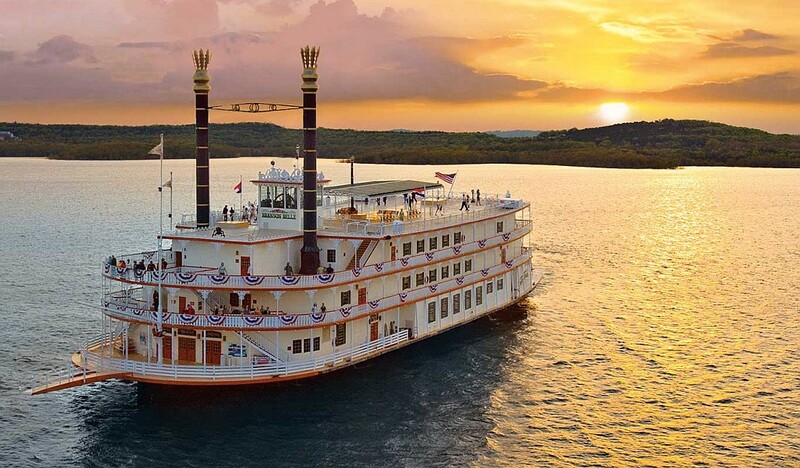 Step aboard the Showboat Branson Belle as you cruise Table Rock Lake for an entertainment, sightseeing, and dining experience you won’t ever forget! 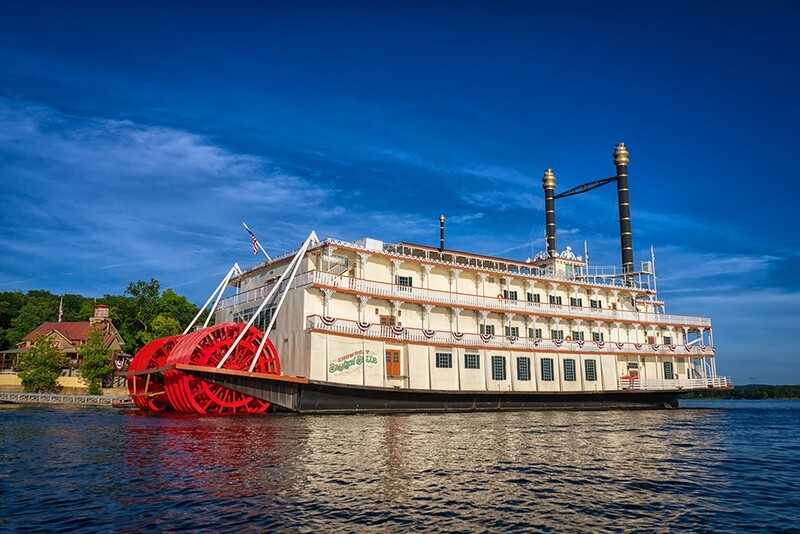 This paddle wheel is modeled after the popular riverboats and showboats of the 1800s, and offers one of the most unique attractions and things to do in Branson, Missouri! 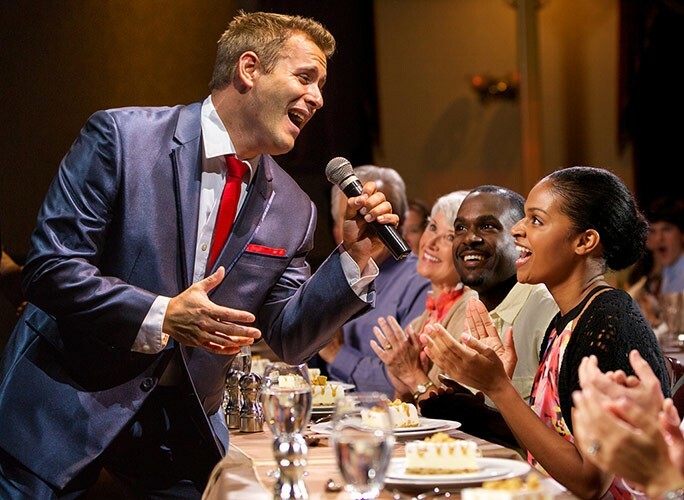 Your excursion includes sightseeing opportunities, an action-packed LIVE show with comedy, music, and entertainment, and a delicious three-course meal – all included with your ticket! With an open spacious interior, the boat can accommodate up to 700 passengers – you may even forget you’re aboard a boat once you’re out on the water enjoying your dinner and show! 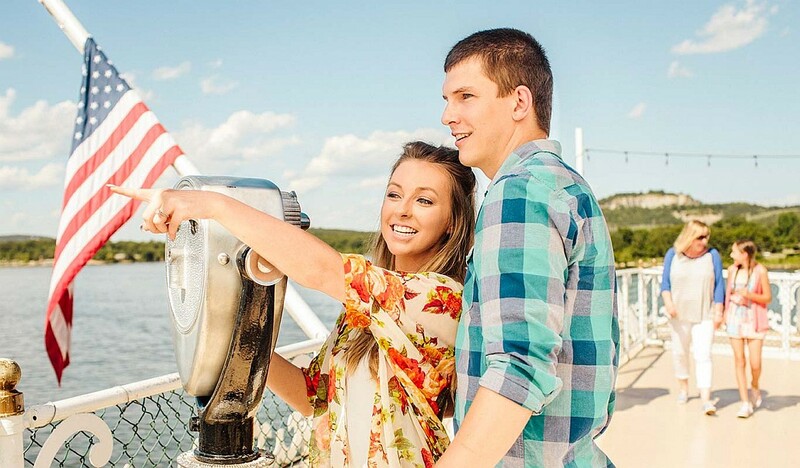 Once you’ve embarked, you will take your seat inside the specially-designed dining and entertainment area as you cruise the waters of the famous Table Rock Lake. 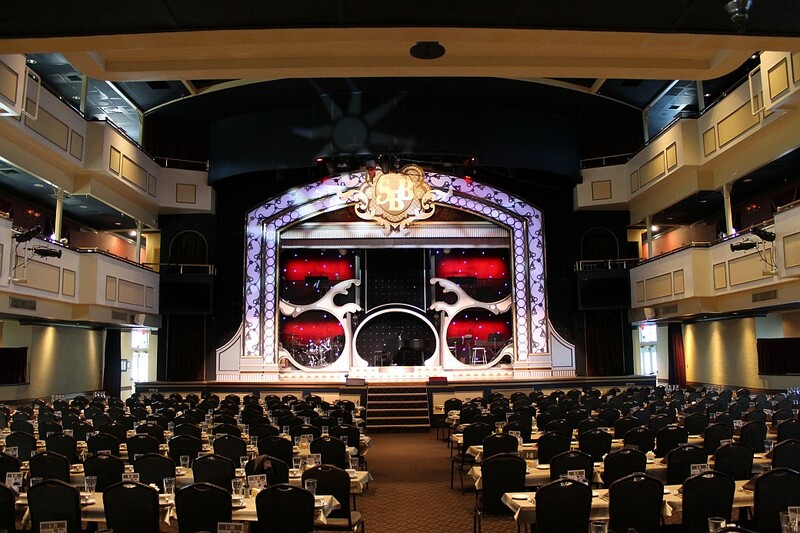 Each ticket includes a delicious, fresh three-course meal, prepared in the ship’s modern galley for each show and cruise. Your amazing hand-picked dinner menu (or lunch menu for the noon cruises) includes: slow-cooked pot roast, citrus chicken, fresh salad and vegetables, and a scrumptious desssert. For those with special dietary needs or preferences, you also have the option of vegan, vegetarian, and allergen-free menus. 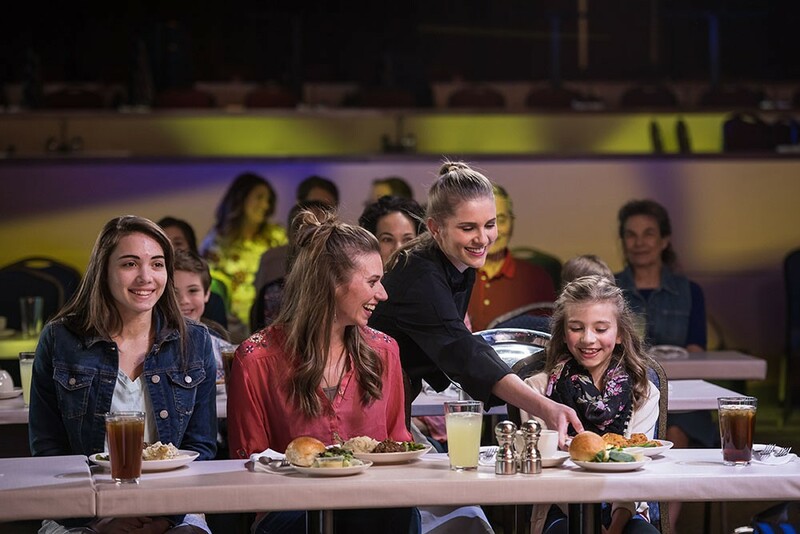 Served during the show that takes place on stage, it’s a one-of-a-kind dinner, show, and sightseeing cruise that all ages will love! 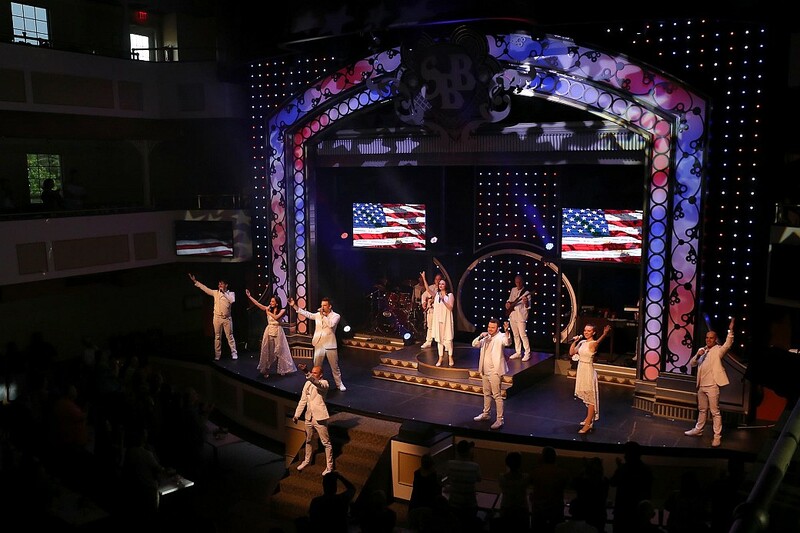 It wouldn’t be a showboat without some world-class LIVE entertainment, and the Showboat Branson Belle features one of the most incredible, high-energy, and entertaining shows to be seen on any stage! 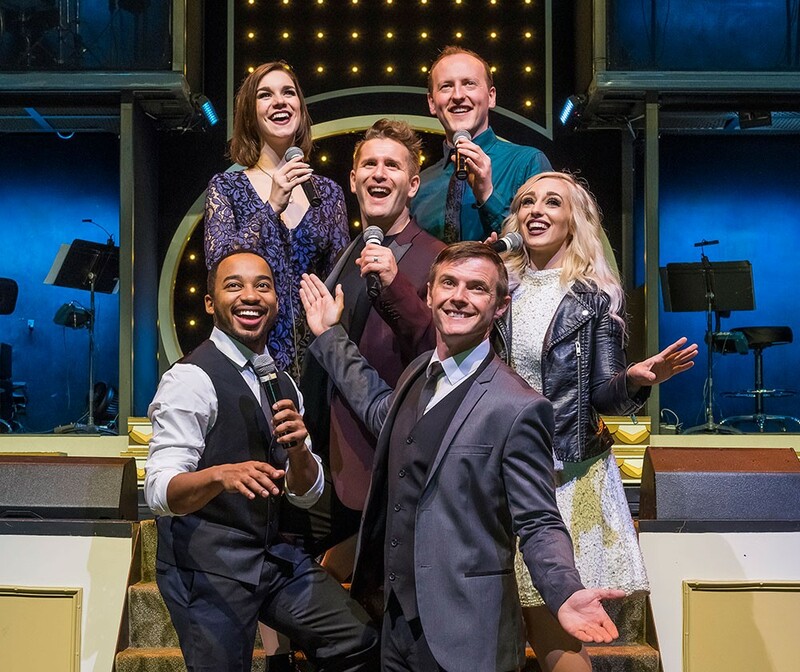 Get settled into your seats as an all-star cast of dancers, singers, comedians, performers, and LIVE 4-piece band take to the stage for a one-of-a-kind production! 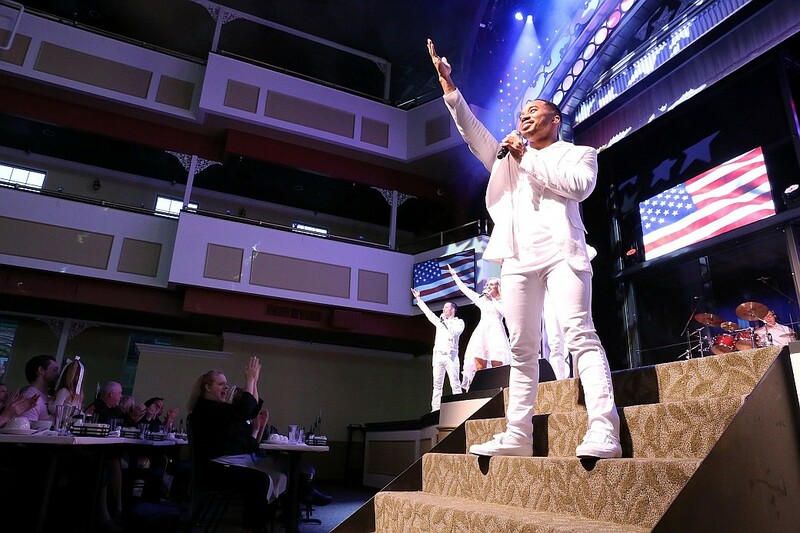 The musical variety show will take you on a journey through 50 years of music that spans many different styles and types of musical genres, while you’re entertained by some of the most phenomenal dancing talent and comedy in a stage show you won’t ever forget! Sightseeing Tour of Table Rock Lake! 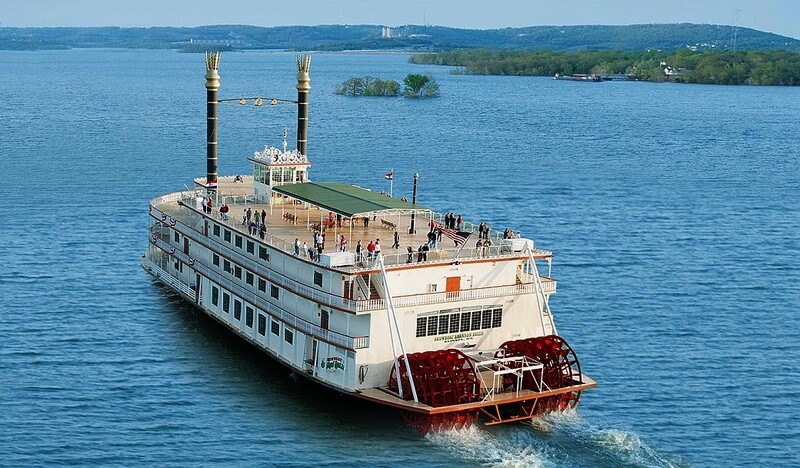 The most popular lake cruise in Branson, the luxurious Showboat Branson Belle offers a unique way to see all of the sights and beauty of the area’s famous Table Rock Lake. 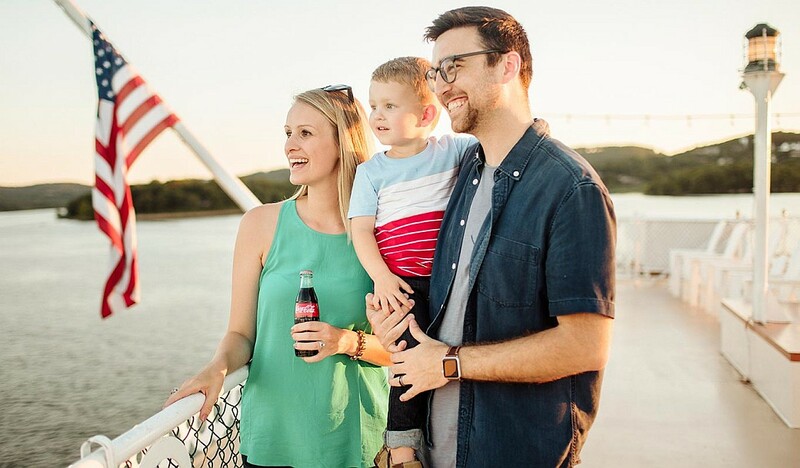 Before, during, or after the cruise, guests have the chance to experience some of the most unebelievable vantage points of the world-famous lake. 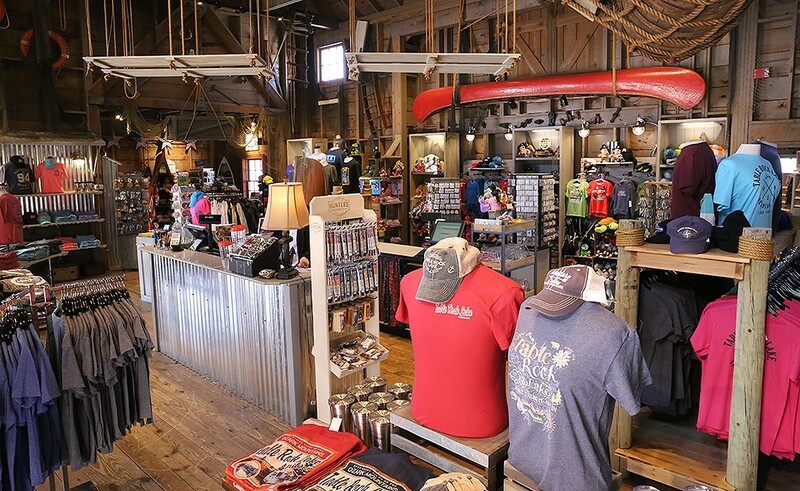 Peek through the windows of the main seating area or view the water from one of the decks (there are 4 decks and stories to sightsee from), for a once-in-a-lifetime view of one of the Ozark’s most beautiful lakes.